Two things strike me about Tess Robinson’s leap. One is that she started her own business Smack Bang Designs at age 22, after not being afraid to drop out of four different degrees at University. 22! I couldn’t even cook myself spaghetti bolognese at the age of 22, much less start my own business. The other is that it wasn’t really starting a business that Tess has found scary, but rather keeping it going four years in, with 14 staff on the books. Tess’ challenges are now about learning to balance high energy enthusiasm with self-care, and to continue to build a lifestyle that honours her values. Make sure you check out Tess’ website to pick up a nifty ebook about branding. It’s a corker! Look at that greenery! 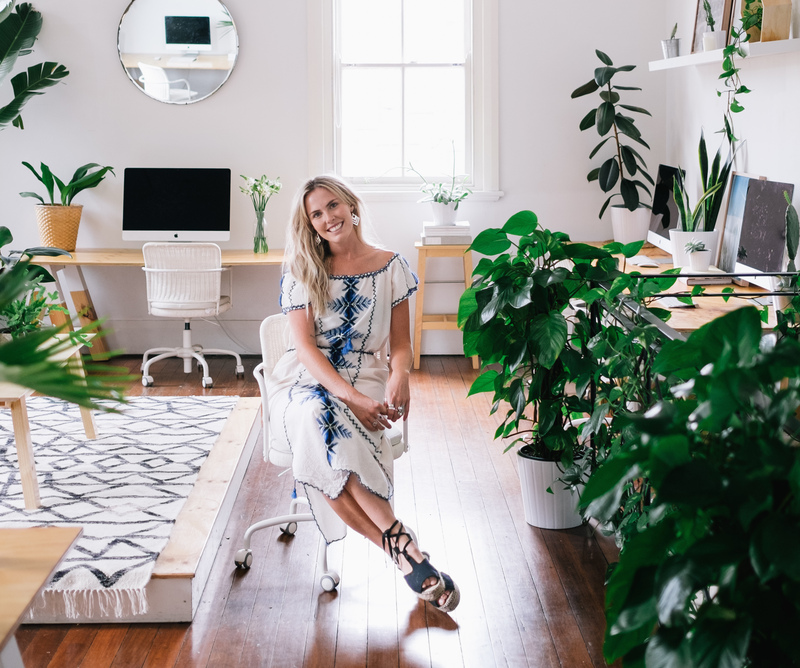 Gorgeous Tess, founder of Smack Bang Designs, in her jungle. What did you want to be when you grew up and why? From a very young age, I’ve always wanted to be a designer or artist of some kind. My hands have always been busy – making and creating. It was the natural progression… I didn’t really think there was any other path really. Well, as my parents would confirm, I’m actually a full-blown college dropout. I dropped out of four degrees before starting my business, and much to my dad’s disdain, I still don’t have a degree. I’ve studied small chunks of Fine Arts/Graphic Design/Journalism/Visual Communications. What has been your most scary/courageous leap you’ve ever made (preferably in your business/career/life direction)? Starting a business at the age of 22 with no money, no experience and no idea. What I lacked in business know-how and life experience, I made up for tenfold in passion, tenacity and determination. What were you doing before you made your leap? At uni, dreaming of being my own boss and living on a mi goreng noodle diet. 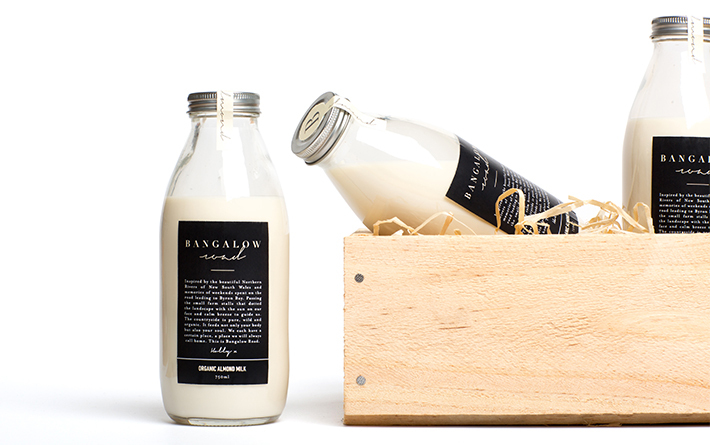 Some of Tess and the talented team at Smack Bang Design’s work in branding and packaging for Bungalow Rd. Check it out here. Who have been the biggest 3 – 5 influences in your life, in terms of your career and doing work? My mum – I’ve always admired her infectious energy, zest for life and go get ‘em attitude. She is a ‘can do’ woman and I guess I’ve inherited a little bit of that in my genes. My team – My Smack Bang Gang are a constant source of energy, happiness and laughs. They make going to work feel more like going to a constant party, complete with studio dancing, lunchtime feasts and endless jokes. Stevie Nicks – She is my ultimate homegirl. What did you have in place before you made the leap? I would love to say that I was super prepared, had a business plan down pat, and stacks of cash in the bank… But the reality looked awfully different. 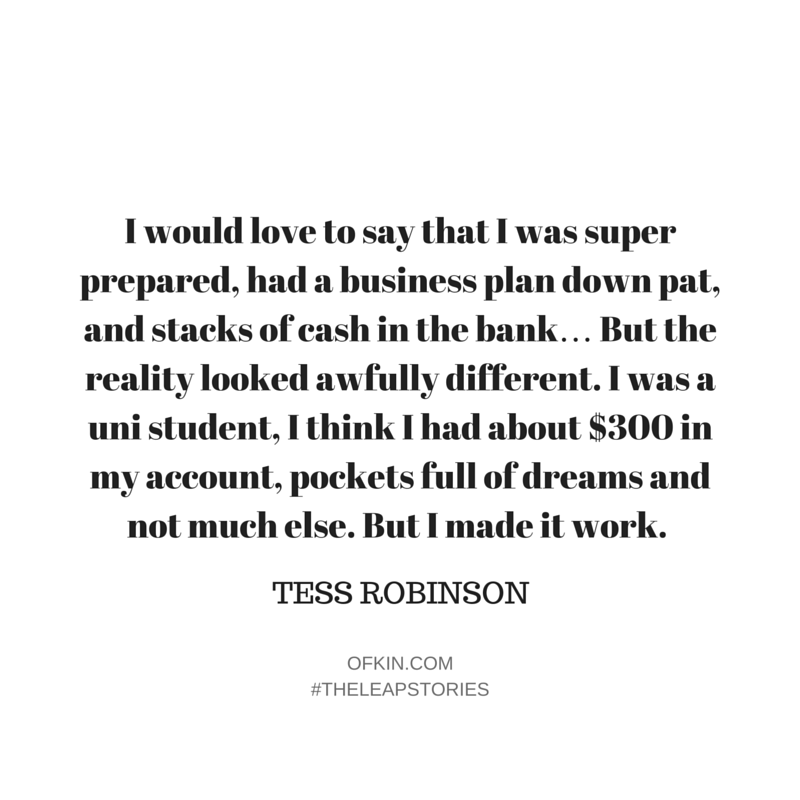 I was a uni student, I think I had about $300 in my account, pockets full of dreams and not much else. But I made it work. I guess when you’re thrown in the deep end like that you’ve only got 2 choices – sink or swim. 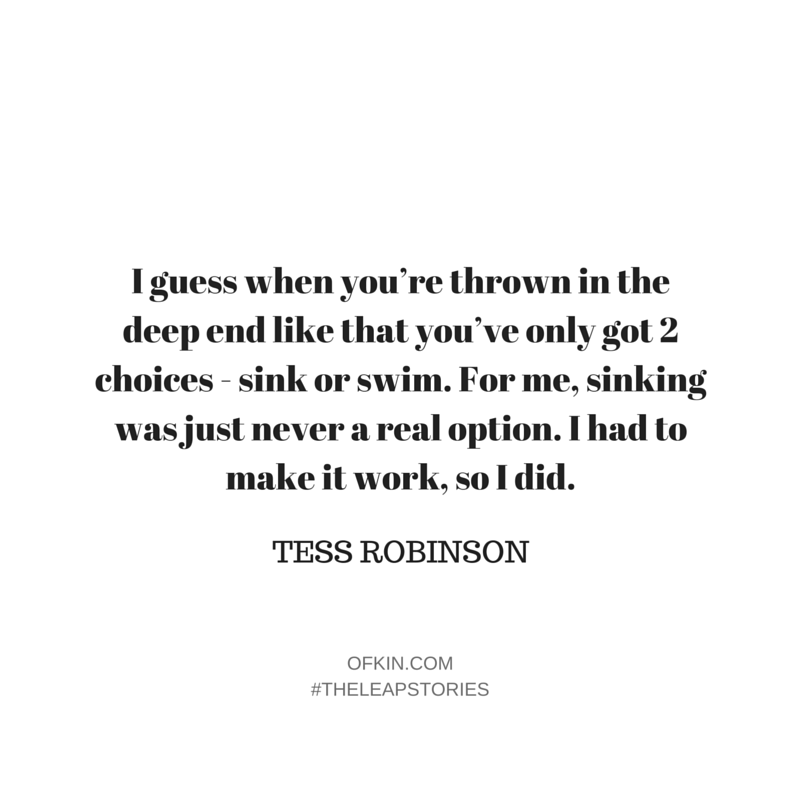 For me, sinking was just never a real option. I had to make it work, so I did. What was your defining ‘I can’t do this anymore’ moment that lead you to the leap? I didn’t start my business out of desperation for not loving where I was at in my life at the time. I didn’t have a soul-sucking corporate job that I needed to escape, or a mid-life crisis I was running away from. It was more of a heck-yeah-I-love-this-world-I-want-to-drown-in-it kind of moment. I loved design with every inch of my 6-foot long body and I loved producing work for anyone I could… So, I guess, I just took it and ran with it. I was very lucky in the sense that my work resonated with people and they were actually prepared to pay me for doing what I loved! How did/do you overcome/work with the fear that comes with leaping? How do you decide to choose courage? Being 22 and downright ballsy, I was fairly fearless in movements. Whether it was naivety or just pure ignorance, I somehow seemed to pull it off with very little fear. Fast forward 4 years though and now I scare the pants off myself daily!! The never-ending obstacles and challenges that come with running a business are insane, even 4 years on. One thing that helps me on a day to day basis is to remember that I’m not performing brain surgery – and that no one (I hope!) is going to die as a result of my actions. I guess that puts things into perspective for me! How did you fund your leap? I was very lucky in the sense that my business grew fairly organically. Whilst I was still at uni, I was freelancing here and there. Each new project brought me two or three new clients purely through word of mouth. Back then, in the beginning phase, I did a lot of projects at minimal cost so that I could build my portfolio and experience. 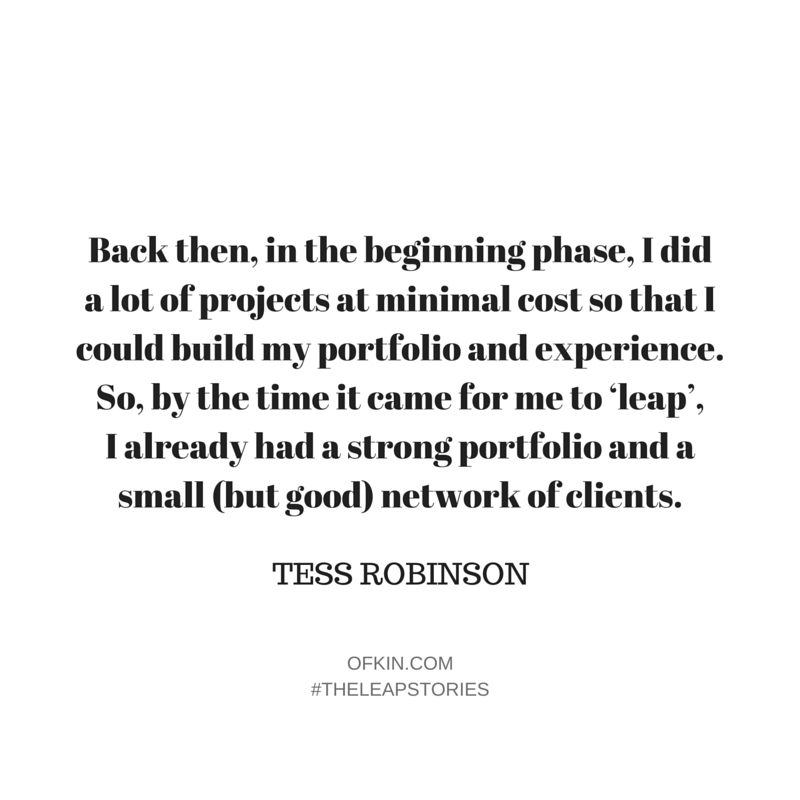 So, by the time it came for me to ‘leap’, I already had a strong portfolio and a small (but good) network of clients. Each project lead to a new one and I raised my funds slowly. What are you most fearful of? How do you deal with it? In a business sense, I guess I am most fearful of letting my team down. I have a solid family of 14 to look after, to provide for and to make sure that they are happy and enjoying their life at Smack Bang. I drive hard and fast with a serious amount of elbow grease to ensure that I can look after my staff in the best way possible. I do not doubt, but I am fearful of not being able to fulfil that role. I deal with it by working hard, being 100% open with my communications and treating them the best way I know how. How would you rate your level of happiness about making your leap? 1 being sad, 10 being rad. It’s the best thing I’ve ever done, and I couldn’t be happier with life right now. What’s the biggest upside to making the leap? A sense of achievement, a life of freedom and independence (sometimes), an insanely fun job, a beautiful network of people and an outlet of creative expression. What’s the biggest downside to making the leap? And how do you get through it? I am an all or nothing kinda girl, and with that comes long hours, hard yards and oh-so-many commitments. Working myself to the bone with 70 hour weeks for a full year straight wore me down. I needed a break. There have been numerous moments of severe burnout where I’ve had to call on my nearest and dearest to pull me back up. I’ve learnt a lot from those times and I do my best to make sure I put my health and happiness first and don’t let the business run me. It’s sometimes tough to find a balance and it’s something I still occasionally struggle with. What might be your next leap? As a business we are more focused, inspired and busier than ever, so I want to keep that alive and continue to help my team thrive. As much as I love all that Sydney has to offer, the country is calling my name. My next leap will be up north. I would love to live and run a second studio in the Byron Bay area. I will always keep our Sydney doors open, but can’t wait to have the best of both worlds, one day. What are your favourite words to live by? Enjoy this moment, fully. Because one day, we’re all going to die. That might sound quite pessimistic, but it’s actually not. Realistically none of it really matters – the emails, the meetings, the day-to-day tasks, the little things that stress you out. You’re not going to care about your inbox when you’re gone from this earth! We all worry and stress so much about the little things, and forget about the things that actually matter like family, health, happiness and love. These things are real – the rest of it, it doesn’t mean a thing. Who do you admire who also made the leap? My partner, Byron who runs his own business – Urban Growers. He is living out his creative dream and doing something that he is only not 100% passionate about, but is doing it for the greater good of the world. Urban Growers is about bringing back urban gardens and home-grown produce. He and his team install edible gardens around the city in both commercial and residential spaces and educate both children and adults on the importance of sustainability and knowing where your food comes from. He’s a good egg, my source of inspiration and a downright wonderful soul. 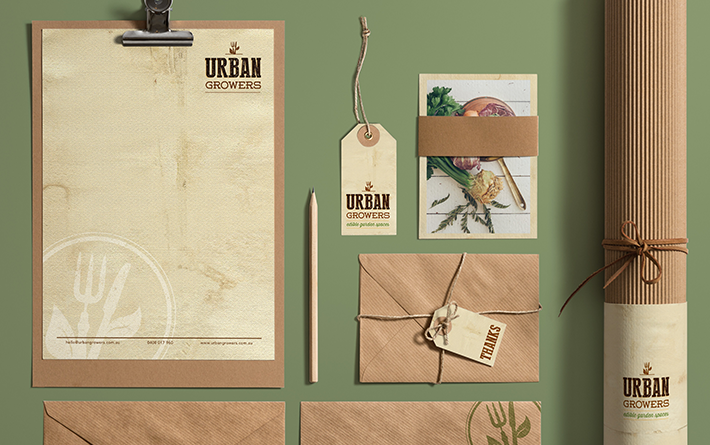 Smack Bang’s stylish branding for Urban Growers, founded by Tess’ partner, Byron. A piece of advice for someone with an itch to leap? Scratch that goddamn itch! Don’t worry about what everyone else is doing. Just do what feels right for you, listen to your gut, surround yourself with amazing people and make sure you know why you’re doing this. Your why is your reason for getting out of bed every day and pursuing your dream, even on the days when bed is the only place you want to be. Also always remember to schedule a little time for yourself – it’s equally important for your productivity as it is for your wellbeing and sanity! Hearing: Listening to Carole King’s greatest hits. #whatababe. Eating: Freshly made salted chocolate and rosemary cookies. Drinking: Chai with just the right amount of honey. Reading: GirlBoss, by Sophia Amoruso. Loving: The combination of all of the above. 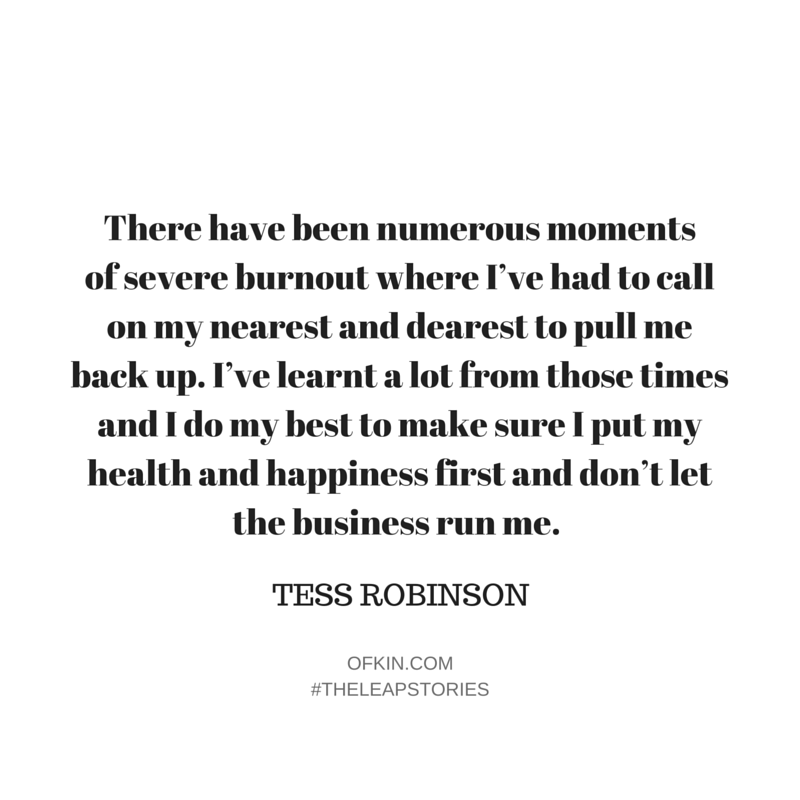 Tess’ story has left me wondering what I could have told my 22 year old self to help build her courage sooner, to trust her intuition more, to take those leaps that are nagging at her and to not be afraid to do the things that light her up. And more poignantly, how I might live my life now so that my one day 22 year old babes, might have the gumption I so admire in Tess. Ponderings for this week. Great story on Tess Robinson. Discovered her by accident on Instagram and now addicted to her beautiful shots and comments of inspiration. She smack bangs & oozes a person of character and sensibility.